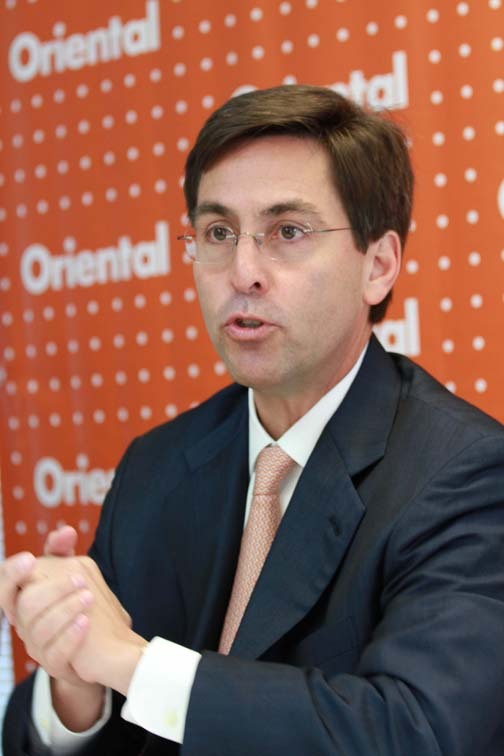 The impact of the back-to-back hurricanes — Irma and María — on the island has pushed Puerto Rico to “finally hit bottom,” said José Rafael Fernández, CEO of Oriental Financial Group Wednesday, upon announcing the bank’s third quarter results. “After years of worrying about it, Puerto Rico has finally hit bottom. It is painful. It is difficult. It is challenging. But it finally gives us a chance to rebuild the island in a new and different way, ‘un Puerto Rico diferente’,” said Fernández. On Wednesday, the bank reported a net loss to shareholders in the third quarter of 2017 of $146,000 or $0.00 per share. This compares to a profit of $13.6 million, or $0.30 per share fully diluted, in the second quarter of 2017 and a profit of $11.7 million, or $0.26 per share fully diluted, in the year ago third quarter. The bank also reported that based on current assessments of information available for the impact of the hurricanes on Sept. 7 and Sept. 20, respectively, on its credit portfolio, third quarter results include an additional $27 million in loan loss provision, pre-tax. “Looking ahead, we believe the island will continue to achieve some level of stabilization, but it will take time. Even when we get over these initial crisis, the road back will be a long and drawn-out affair,” he said during a conference call with analysts to discuss the quarter’s results. “In the short run, the upsides might mitigate somewhat some of the downsides. However, it is yet to be seen how the long-term will play out,” he said. “The market paradigms will change. This will affect the shape of our business. We will need to look for how we should adapt to the new reality in Puerto Rico and take advantage of the potential opportunities it presents,” Fernández said. “We also need to develop new profit centers. Though we did not expect the calamitous hurricanes, we have been preparing for a geographical diversification in our business for the last few quarters,” he added. As an initial step, OFG is actively exploring partnerships with stateside financial institutions, with proven origination and servicing capabilities. “We’re interested in having flow arrangements for participations in commercial credit, as well as ongoing loan pool purchases,” he added. Hey Buddy!, I found this information for you: "‘After yrs of worrying about it, PR has finally hit bottom’". Here is the website link: https://newsismybusiness.com/worrying-finally-bottom/. Thank you.